Unless I go see Aquaman 2 tomorrow, I’m pretty sure I’ll be doing some drinking tomorrow night. Every once in a while I go and buy something dumb. Something that I don’t need. No, I’m not talking about a pack of condoms. I’m talking about something expensive. 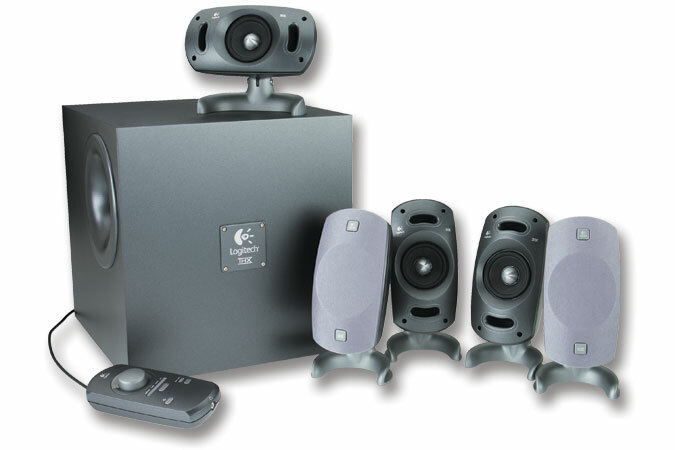 Those are the cheapest THX-certified 5.1 speakers I could find. Even so, they still are priced at $200. So, you might remember in an earlier post I mentioned that one of speakers in my current 5.1 system is busted. The difference between that post and this one is that I am this close to buying those Logitech speakers. Did I mention they’re THX-certified? They’re nearly 200 Watts more powerful than my current set. I’ve seen some of these systems being on sold on Ebay because “they were too powerful for my dorm room”. That alone should get me to buy them. The subwoofer itself has to be passively cooled with heating fins because of all the power it uses. Well, I’ll hold off until the weekend before I make my decision. It also helps I don’t have a car. The whole box weighs fifty pounds. Hey, anyone want to give me a ride along Broadway sometime soon? I have cast my vote in today’s federal election. I showed up at work this morning and talked to my boss. Even before I spoke about the election she wanted to be sure that I was going to vote today. She even brought up the three hours I was legally entitled to have to go vote. Sweet. What made it even better was that she implied I probably didn’t need to come in after I went to go vote. This was the start of the best voting day ever. As the morning wore on, I finally came up with an acronym for this summer program I’m involved with. It’s a new program to get ESL first-year engineering students up to speed with grammar and language. I’m scheduled to teach two lectures in it. Anyways, my boss asked me if I had any ideas for the program name. This morning I came up with ASSIST, Applied Science Summer International Student… then I got stuck on the T. I told my boss and she said, “What about Training Program?” And there was the complete, yet long, acronym for our program. Well, with that triumph over, it was almost lunchtime. A little more diddling around and I was off back to SJC. I met up with Pat and Phil. We drove to the University Chapel to cast our ballots. I took a little longer since I had to get my registration changed. Total time at the church was ten minutes. Next, we headed off to Wendy’s for lunch near Broadway and Heather. It was then I realized I still had several hours before I had to go back to work. With the nice weather and all, I declared it as “the best voting day ever”. Lunch was efficient yet pleasant. We arrived back home just shortly before 2pm. I checked my e-mail and then napped for a bit. I got up, shaved, and then changed into some shorts. I decided to go pay my phone bill and then made a leisurely walk back to work. I’m here now and am about ready for a solid half hour of work before I end “the best voting day ever”. No, this post isn’t going to be about our federal election. I have complete faith in my country to do the right thing. We’ll all vote on Monday and everything will work itself out. The election I’m writing about is the US Presidential election. Since about 1988, I’ve watched every Presidential election in the US with great interest. Why? For one, the US media makes it into such a spectacle. It’s almost more entertainment than news. With the splashy graphics, breaking news, and dramatic music, how could one not get excited about people voting? Second, while it is only Americans who are voting for their leader, their choice of President affects the entire world. I don’t think anyone could argue that point. Which brings me to the election of 2000. It was the election I had followed the closest. I had enjoyed the Clinton years. I thought he was a great President. I don’t think it was just coincidence that during the eight years he was in office, I had the highest opinion of US policy, both domestic and foreign. In short, when he was running the show, I thought the US of A wasn’t that bad of a neighbour. In his first year of office he came to Vancouver, UBC specifically to meet with then President Boris Yeltsin. They were to meet at the UBC President’s residence. At the time, I lived a tear-gas volley away from the meeting place. I remember lining up with the throngs of people along a fence waiting for the two leaders to arrive. I was hoping for just a glimpse of both of them as their limos drove by, but I got more than that. Both limos stopped just before my spot along the fence. Yeltsin and Clinton stepped out and began shaking hands with the crowd. They never did get down to me, but I saw and heard the finesse with which Clinton handled the crowd. His legendary charisma was not without basis. When Gore conceded, I felt deflated. It felt weird feeling bad for a man that wasn’t even a politician in my country, but I knew what was at stake. There would now be a Republican in the White House. I remember Inauguration Day in 2001. It landed on a Saturday. It was a cloudy and rainy day in Vancouver. It matched my mood. I was working at EA at the time and I had to come in. All day, I promised I wouldn’t go on CNN.com or any other news site to read about what was going on in Washington. I lasted until the afternoon, when I just had to read about the event. The most bittersweet article I read detailed Clinton’s final speech to his staff and his departure from Washington. That night at home, I watched the news reports showing the various balls that were held to celebrate Dubya’s “victory”. It was difficult to watch. Back then, I didn’t blog, hell I’m not even sure if there were blogs. I did, however, write a small column that changed once a week. I wished I had archived them, but I didn’t. If I recall correctly, I wrote how unjust it seemed for Bush to take the White House the way he did. I questioned his abilities to lead and I do remember this part clearly, I penned, “what wars will he lead the world into?”. The point is not for me to say I told you so, but let us enumerate what Dubya’s done in four years, and this is only a partial list. He took the US surplus that was in the billions and turned it into a deficit that borders on a trillion dollars. He has ignored the environment at every turn in favour of making profits. After receiving overwhelming sympathy from the world community after 9/11, his foreign policy managed to turn that around and make the US the most hated country on the planet. Domestically, I am alarmed at the partisan behaviour that exists among US citizens. The entire country seems divided in half. And finally, last but not least, he invaded Iraq. On Friday night, I went and saw Fahrenheit 9/11. It was every bit as thought-provoking as I hoped it would be. It left an impact. Love him or hate him, Michael Moore sure does know how to make a point. The film is the manifestation of his fiery passion to remove Bush from the White House. The US is now less than six months away from the election. Despite all the missteps Bush has taken, despite all the harm he has done, I predict a race as close as the last election. This to me, boggles my mind. I expect the wealthly elite to vote for him, that is a given. What I don’t understand, is how the average American can give him their support. What exactly has he done for them? Why are they better off now than they were four years ago? Somewhere in the four years, people who had the ability to think for themselves, bought into the idea of blind fanaticism. To say that I’m hoping John Kerry will win the election and become the 44th President of the United States is an understatement. I hope he does the right things, I hope he wakes up the sleeping masses and opens their eyes to what has been going on. I await this coming November with intrepidation. It’s always good to leave with hope and this is what I’ll try to do with this lengthy post. As of today, Fahrenheit 9/11 was number one in box office receipts in the US. It made a little over $8.2 million playing on under 900 screens. The number two entry, White Chicks, made just under $7 million, while playing on over 2700 screens, three times that of F9/11. Lots of people in the US are wanting to see this movie. They want to hear what Michael Moore has to say. If he can stimulate people to think, then his job will be done. I probably won’t write more about the election until the fall, but this was a good time to put down my thoughts. What do you think? I wish I had one of those blood glucose meters that diabetics use because I bet my blood glucose is pretty damn low right now. I’m gonna hit this can of Coke here hard and then go look for some more food. Well, you knew that I would have to comment on the news release about the mutant baby that was born in Germany. The little boy, is normal in all respects, except that his body blocks the production of a protein that limits muscle growth. The result? Abnormally large development of muscles for a human being of his size and age. The X-Men are the wildly popular comic book and now movie franchise. In it, the heroes possess fantastical powers and they are referred to as mutants. The powers are revealed to have come about from mutations in their DNA. Which is exactly how the little boy’s super strength is explained! So, do I think this little German boy will grow up, don a body-hugging costume, and fight crime? Probably not. First, most mutant superheroes fight crime in a team, and as far as I know, he’s the only certified mutant with a useful mutation on the planet. Second, the way society is these days, I doubt he could hold down a steady job and fight crime. There’s just not enough hours in the day. It might work if the German government sponsored him as some sorta federal superhero. That just sounds scary though. The likely scenario? He’ll probably have it rough throughout his teenage years, but in his twenties, he’ll find his true calling as an insurance salesman. 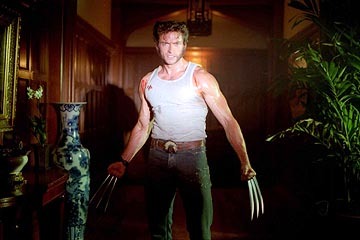 On that note, let me put up a picture of Wolverine, one of the X-Men. Irish heart-throb Colin Farrell’s first full frontal movie scene has been cut by worried film bosses – after test audiences were transfixed by the size of his manhood. The Phone Booth hunk disrobed for scenes in upcoming drama A Home at the End of the World, but after seeing the stunned reaction of viewers at a recent screening, chiefs decided to chop the naughty images. And the news has been greeted with fury by self-confessed Romeo Farrell, who has demanded the scenes must be included in the DVD release of the film. A source tells British newspaper the Sun, “All you could hear were gasps when Colin appeared in his full frontal pose. The women were over-excited and the men looked really uncomfortable. It was such a sight it made it difficult to concentrate on the plot, so the decision was made to get rid of it.” Even director Michael Mayer admits, “It was distracting.” In the film, Farrell plays a bisexual man caught in a love triangle. Today marked the second week of work for the summer. I think I’m getting the hang of it. I woke up at 8am and I decided I had to go eat breakfast. This meant I was 15 minutes late for work, but who cares. Maybe I’d take one less break during the day. During my lunch hour, I took the first half to eat and the second half to nap. This is the key to success in my books. I didn’t feel the need to nap all day. I felt quite refreshed even during the usually sleepy hour between 2 and 3pm. In the evening, I went down to Wreck Beach with a whole bunch of people from SJC. We were celebrating Dana’s successful Master’s thesis defense. I’m still amazed that I live five minutes away from Wreck. As usual, it was a beautiful sunset. There were at least twenty people from the College down there. We even managed to get a nice fire going. We had our fair share of laughs but I had to leave around 10:30pm to get some stuff done. On my way back up, there were still people from SJC coming down. I bet as I write this, there’s quite the party going on at the beach. Why do I say this? Because someone brought Count Chocula cereal down there.